As the founder of Waterloo-based Quartic.ai, Rajiv Anand is focused on building a niche within the relatively new sector of Industrial Internet of Things (IIoT). The challenges — and work — never stop, but Anand says that’s the exciting part. When asked about the differences between being CTO of an early-stage company versus a growing company, Anand didn’t mince words. He explained that in the early days, regardless of your title or position, you need to focus on “constant validation” from customers that what you’re building is valuable and solves their problems. At the same time, Anand says that startups need to slow down a little to ensure that they’re getting high-quality feedback instead of steaming forward without proper customer input. With Quartic now at almost 10 people, translating learning into actionable items for his team has become a challenge for Anand, who is used to building by himself. “You have to learn in such a way that you can articulate it to someone who is going to pick up the concept quickly and be able to build technology based on their new knowledge,” he said. That business knowledge isn’t just about learning a new code style or understanding a concept, however. It’s also about making sure you are using robust technology frameworks that work for your specific use-case. Choosing which code or open source library to leverage, for instance, isn’t just a matter of identifying which fits nicely with your current code base. In the industrial IoT space, one individual machine could be handling millions of data points, so the frameworks used to create the code have to be scalable beyond what most people typically build. Coming from this mentality, Anand believes that the evolution of tech has altered the startup CTO role fundamentally from deep-product expert to leverage-and-go multi-functional leader. “There are so many choices available now when it comes to technologies, code bases, and tools, that picking the wrong one can lead to a lot of technical debt,” he said. The decision-making process for CTOs will only get more difficult, Anand said, as the pace of technological advancement accelerates. For this reason, he cautions all CTOs to ensure they are paying attention to potential future technological capabilities and planning for them now. The cloud is a commonly used term for data held in virtual storage through the internet, but the ‘cloud’ is surrounded by the “edge,” which Rajiv explained are the networks and algorithms that support and build up the cloud. For the Industrial IoT space specifically, this presents a challenge. Much of the technology, for instance, won’t work if it isn’t connected to the machine it is collecting data from in a very tight, secure way. Without this connection, manufacturers may not trust the technology because they fear the information – often surrounding regulated items like food or drugs – might get into the wrong hands. 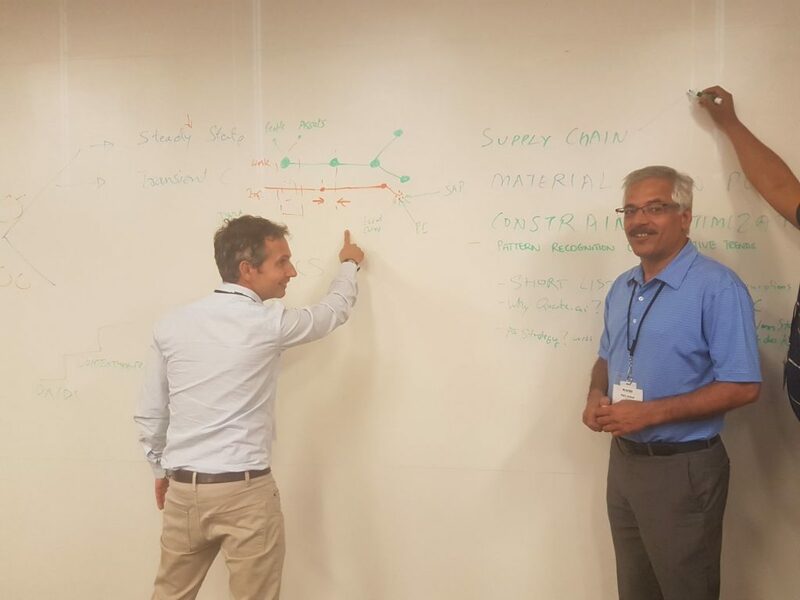 Outside of Industrial IoT, Anand’s lesson for CTOs is to ensure they are thinking not only about how they can build something quickly, but build it in a way that respects how the industry they are disrupting does business. Challenges like these happen anywhere, but are more pronounced at startups than bigger firms because there is less infrastructure to support them. Given this, Anand suggests that anyone considering a CTO role at a startup makes sure they are ready for a world with limited structure, requiring them to be fully independent.